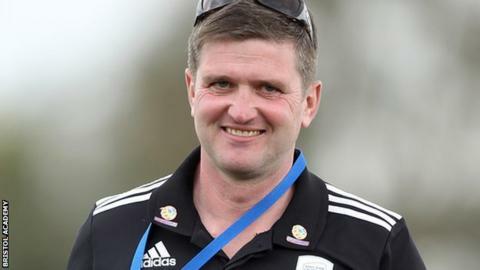 Bristol Academy can be competitive in the Women's Super League despite being the only club not affiliated with a men's team, says boss Dave Edmondson. The Vixens have community links with Bristol City but have been a stand-alone outfit since 2006, having previously worked with Bristol Rovers. "Bristol, while it doesn't carry a big name, has been very successful," Edmondson told BBC Radio Bristol. "It's about trying to get that across and letting people know what we offer." The club finished second in the table last year but will have one of the smallest budgets in the revamped first tier of the league. "Whilst I'm not going to say we can win the league and the Champions League, I've never entered a game thinking I don't want to win it," added Edmondson. "There's no specific goals in terms of success and trophies but we want to be competitive in all of of them." Edmondson will take charge of his first WSL game on Thursday when his side welcome Chelsea. Under former manager Mark Sampson, Bristol reached two FA Cup finals and secured Champions League qualification, as well as their highest finish in the league last season. Sampson left to take over as England women's head coach in December and Edmondson was brought in as his replacement. Much like his predecessor, former Melbourne Victory manager Edmondson will rely heavily on Bristol's youth team to form his squad. "Those girls who are playing in the centre of excellence, the expectation is they will be first-team players," he added. "I think the English game is more developed age-wise. Ten years ago, women footballers often came from different sports and quite late to the game. "Nowadays they play from the age of five or six. Those young players can come in and make a difference."